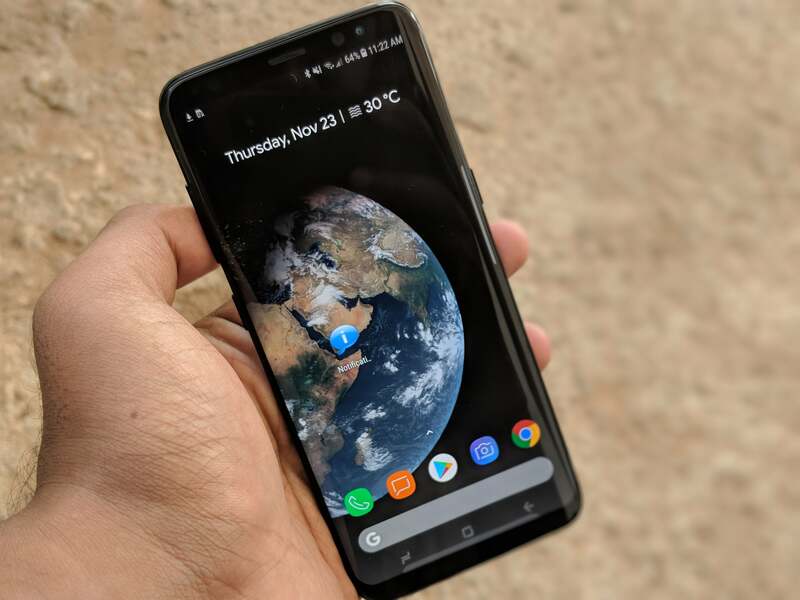 The Samsung Galaxy S10 is surely the South Korean smartphone giant’s upcoming flagship device, and a new report coming directly from Korea claims that the company has finalised the design of the Galaxy S10 devices today. However, there’s a massive disappointment for everyone who’s in a feeling that Samsung will do an Apple by completely revamping the design with the S10 devices because the report alleges that Samsung will be sticking to the same Infinity Display design, which was introduced with the Galaxy S8. That’s not particularly a bad idea because the Galaxy S8 duo and S9 duo are still amongst the best-looking devices available on the market right now. Nevertheless, the Galaxy S8 and S9 users will not feel the same as they’ll be in a feeling that the design is a bit dated. So the Galaxy S10 devices will not sport any foldable display, and of course, the report has confirmed that the devices will not sport the infamous notch design. Just yesterday, Samsung patented a notch display smartphone design, but the design might be used for a different smartphone. Furthermore, the report also revealed the diagonals of the display for both the Galaxy S10 and the Galaxy S10+. The S10 is said to sport a 5.8-inch display while the S10+ could have a 6.3-inch screen. This is completely understandable as Samsung is looking to add a 6.4-inch screen on the Galaxy Note 9. It’s also expected that Samsung will be further reducing the chin size of the device to offer a high screen-to-body ratio. Of course, they both will feature OLED displays. And the best part is Samsung looking to add the in-display fingerprint scanner with the Galaxy S10 duo. By the time the Galaxy S10 launches, the in-display fingerprint scanning technology is expected to go mainstream, and it will be very odd if Samsung doesn’t include them on the S10 devices. The Galaxy S10 devices are also expected to come with a new 3D sensing camera, which is claimed to be developed by Israeli 3D camera solution vendor Mantis Vision and camera maker Woodgate. Lastly, the report added that Samsung would start producing the Infinity Display panels for the Galaxy S10 starting November with the phone expected to launch in early 2019. We’re expecting that more details on both the devices will follow very soon. After the launch of Samsung Galaxy S9+, Sales of Last year Flagship have been picked up!!!!!! They are even better than Google Pixel XL 2 which has better camera!!!!! So sales will go up by the end!!!!! Lot of people don’t buy these Flagships at their launch prices(especially in India)!!!! !